In order for a colony to survive they must have a fertile queen. A queen will be replaced in the event that something unexpected happened to her or, more commonly, the queen's fertility and pheromone will decrease as she continues to age. This act is known as supersedure (would be considered an emergency supersedure if the queen were to die unexpectedly). 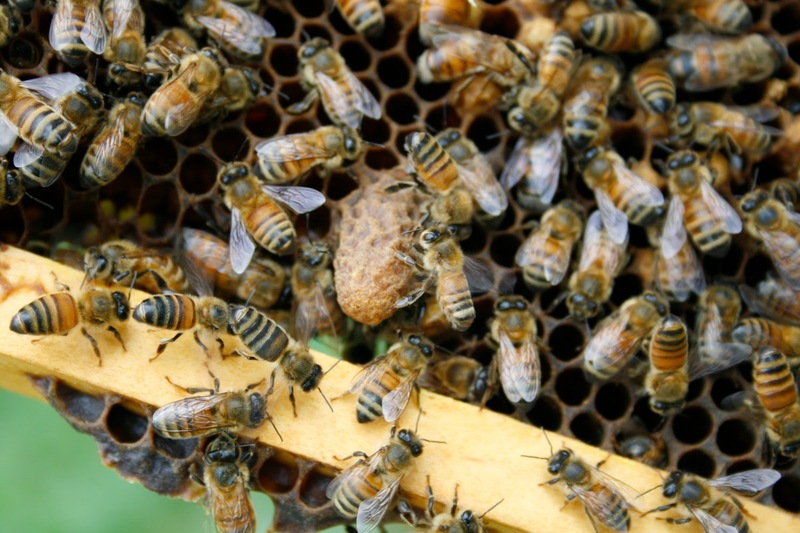 In an emergency situation, worker bees will transform a cell with a fertilized egg into a queen cell. If the queen is being replaced because of age, the colony will develop a queen cell for her to lay into. When inspecting the hive for these queen cells, how do you know if the queen has been released or not? Here are come photos that may help. 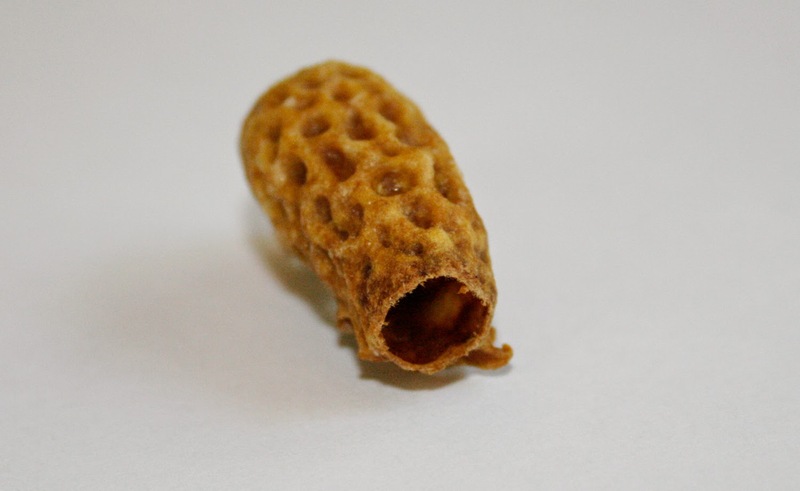 The above image shows a nurse bee attending to the larvae inside the queen cell. 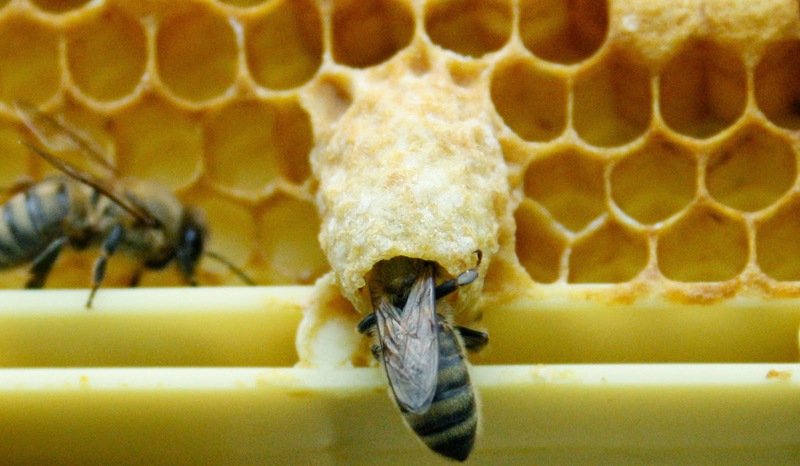 Worker bees will make thousands of visits to feed these larvae Royal Jelly. 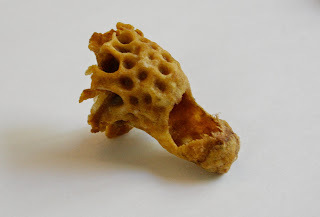 This royal jelly diet allows the reproductive organs and pheromone glands to develop fully. The above cell is capped over, waiting for the queen to emerge. You can distinguish a queen cell by its size and texture. Because of the enriched diet and her elongated abdomen, a queen cell extends downward and is much larger than worker or drone cells. 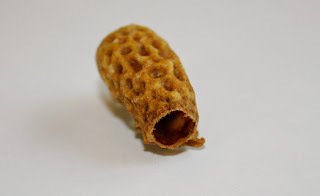 It takes on the texture of a peanut shell and the queen emerges from the bottom. The virgin queen will emerge from the bottom of the cell. 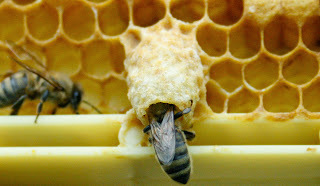 The first queen to emerge will go through the hive and destroy the other queen cells. 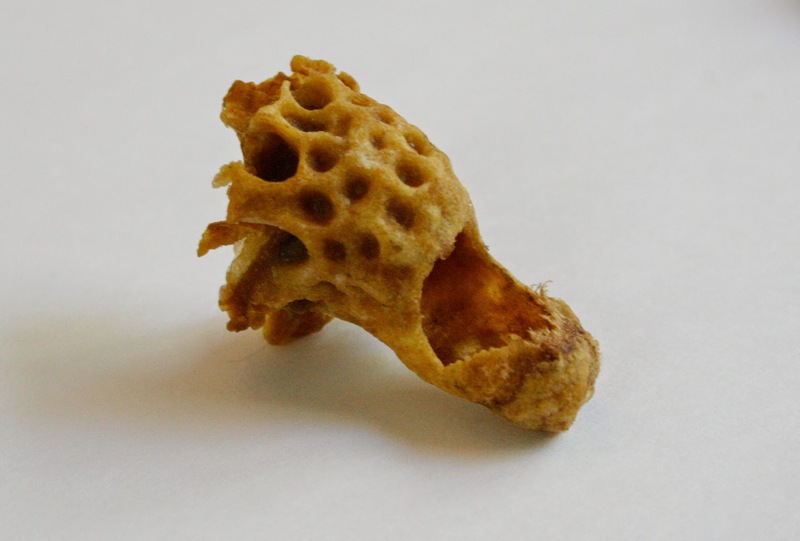 This is done by cutting a small hole in the side of the cell and stinging those queens who have not emerged yet. The new queen will then go on a mating flight and return ready to begin laying eggs. If the new queen was developed due to an older, infertile queen, both queens may remain in the hive. Eventually the older queen will expire.